Passionately committed to bettering the industry that they’ve worked in for decades, the EGIA Foundation Board of Trustees has varied and extensive experience in the home services and energy industries. Our Board, with professional backgrounds ranging from education and marketing to HVAC manufacturing, industry publishing and more, is uniquely qualified and truly invested in improving the industry from the ground up. 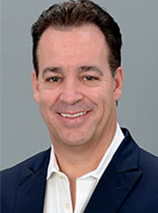 Bruce Matulich joined the Electric & Gas Industries Association (EGIA) in 2003 as Chief Executive Officer and Executive Director, responsible for the Association’s overall operational management and strategic positioning. Under Bruce’s leadership, EGIA’s contractor organization has evolved into one of the largest and fastest-growing in the country. He’s been instrumental in transforming EGIA into a leading contractor education and training organization, all while representing the Association in key state and national industry forums and leading the design and implementation of EGIA’s utility and public sector programs. Bruce is a seasoned executive with over 35 years of leadership experience in association management, utility operations and emerging technology marketing. He has served as: Executive Vice President at MainStreet Networks, an energy services company delivering automatic meter reading (AMR), online energy management & control and customized e-services to utilities energy services throughout North America; Chief Operating Officer for Energy Innovation Group, an energy services company delivering integrated energy efficiency solutions to local government and community based organizations; Marketing Director at CellNet Data Systems, a provider of wireless data communications, control and automation applications for the energy industry; and Director, Energy Efficiency Services at Pacific Gas & Electric, responsible for managing the utility residential, commercial and institutional energy efficiency and demand response programs. 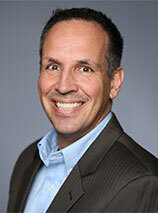 Bruce holds degrees in Business Administration/Marketing and Industrial Technology from San Jose State University. 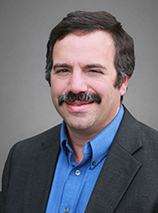 Larry Zarker is the Chief Executive Officer of Building Performance Institute (BPI), an industry leader in developing standards for energy efficient retrofit work and certifying contractors and companies to help raise the bar in home performance contracting. Larry has more than 30 years of experience in the residential buildings sector, including 20 years with the National Association of Home Builders (NAHB) Research Center, serving as vice president of marketing for much of that time. 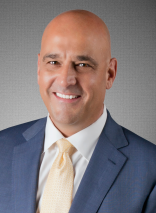 Joe Calabrese is the Chief Financial Officer of EGIA, responsible for managing all financing and accounting practices at the organization. Joe oversees all final budgets and reporting, while directing the overall financial strategy and long-term organizational success and sustainability of EGIA. 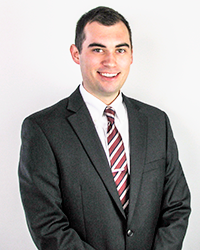 Nick Benton, HARDI Director of Talent Development, joined HARDI in 2014, after working in a corporate training environment. Nick engages with HARDI members daily to ensure that they have all of the tools required to get the most out of their people, from on-boarding programs to training and development. Drew Cameron is America’s Most Sought-After Sales & Marketing Strategy and Success Adviser to Home Services Contractors, is president of both ProfitSpark (formerly HVAC Sellutions) and Energy Design Systems, LLC: the premier industry alliance developing leading-edge technology along with providing complementary marketing planning, budgeting, content and consultative support; and sales recruiting, education, coaching, consulting, and performance and profit enhancement for Home Services Contractors. Drew's 41 years of experience in all facets of running a residential contracting business help companies implement effective lead generating marketing sales strategies to build multi-million-dollar profit-generating home services companies. Drew is a renowned author, educator, coach, consultant, inspirational/educational/"irrotational"/aspirational speaker, software developer, industry philanthropist, and an International Consultant Award Winner. Drew is also the president of the Ron Cameron Foundation, a Board member, a Foundation Board Trustee, a Contractor University Founder & Faculty member for the Electric & Gas Industries Association (EGIA), a member of Black Belt Contracting (BBC), and a member of Air Conditioning Contractors of America (ACCA). Mike Hellmann is a Director within the Industry and Infrastructure Group at Informa, a leading multi-national B2B media services company. 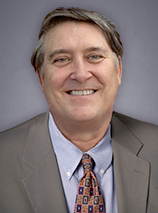 He has responsibility for seven Building Infrastructure-focused media properties that connect the many members of the building equipment and services value chain including: manufacturers, engineers, wholesalers, distributors, and end-users across the spectrum of residential, commercial, institutional, and industrial facilities markets. Prior to joining Informa, Mike spent more than two decades between Siemens and Schneider Electric in numerous product, marketing, and sales leadership roles, all of which focused on the new, retrofit, and MRO building infrastructure construction marketplaces. 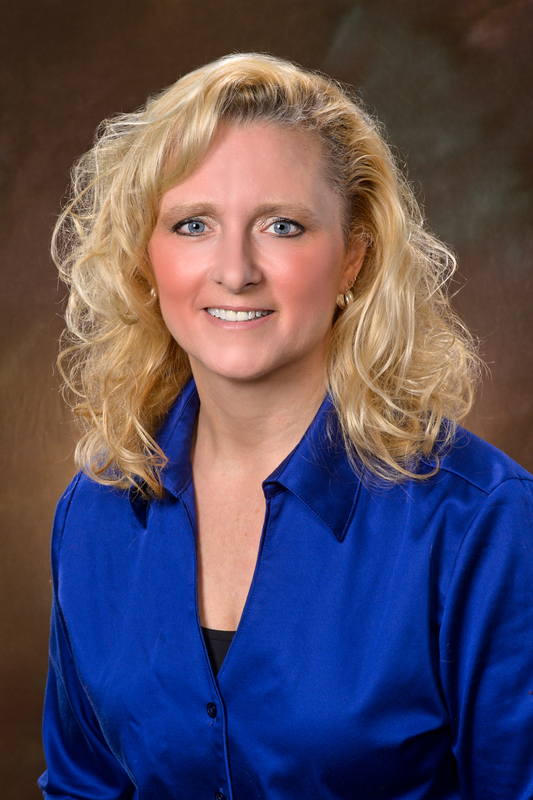 Karie Johnson joined The Habegger Corporation, an industry leading HVAC distributor, in 2016 as Corporate Manager, Marketing and Development. She has been in building products for over 25 years striving to better not only the organizations she’s been a part of but also helping drive each industry forward. Karie has held key management roles at several Fortune 500 companies. Charles E. Knadler serves as President and CEO of Enerbank, an FDIC-insured bank focused exclusively on unsecured home improvement lending. Charlie is responsible for the overall management of EnerBank, which sustained a strong growth rate before, during and after the Great Recession, thanks to an innovative business plan, high degree of specialization, geographic diversification, and responsiveness to the needs of home improvement contractors and the homeowners they serve. 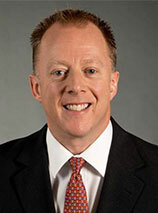 Prior to his current position, Charlie was Executive Vice President and Chief Financial Officer from 2010 through the end of 2015 and Senior Vice President and Chief Credit Officer from 2005 to 2010. Charlie serves as president of the Utah Association of Financial Services and vice president of the National Association of Industrial Banks. Both organizations have a mission to advocate for policies that expand access to credit, guarantee consumer choice, and provide unique banking services. Charlie has donated his time and expertise to NeighborWorks Salt Lake for over five years, serving on their finance committee and board of directors. NeighborWorks Salt Lake works to revitalize neighborhoods, creating opportunities through housing and resident leadership, and contributing to the development of the youth and local economy. Born in Baltimore, Maryland, Charlie earned his undergraduate degree from Brigham Young University and MBA from the University of Utah. Weldon Long is a successful entrepreneur, sales expert and author of the New York Times bestseller, The Power of Consistency – Prosperity Mindset Training for Sales and Business Professionals. In 2003, he walked out of a homeless shelter and built an Inc. 5000 company generating cumulative HVAC sales of over $20,000,000 within just 60 months. In 2009, his company was selected as one of Inc. Magazine’s Fastest Growing Private Companies in America. Today, Weldon Long is one of the nation’s most powerful speakers and a driven motivator who teaches others the Sales and Prosperity Mindset philosophies that catapulted him from desperation and poverty to a life of wealth and prosperity. Weldon has been featured on numerous national and regional television programs, including Fox News Network, First Business Network and Chicago’s own WGN. Mr. Long has successfully used his signature program, The Power of Consistency, to help hundreds of companies and thousands of sales professionals radically improve their sales results. 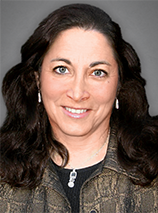 Dr. Debra Rowe is a well-recognized national and international leader in education for sustainability. She is President of the U.S. Partnership for Education for Sustainable Development (www.uspartnership.org). The U.S. Partnership convenes leaders within business, education, government, faith and youth sectors of the U.S. and catalyzes national sustainability initiatives. Dr. Rowe is also co-founder of the Higher Education Associations Sustainability Consortium (www.aashe.org/heasc), founder/facilitator of the Disciplinary Associations’ Network for Sustainability (www.aashe.org/dans), and Senior Advisor to the Association for the Advancement of Sustainability in Higher Education (www.aashe.org). She helps higher education and K-12 faculty and staff, national associations and other private and public institutions integrate sustainability into mission, curricula and training, fundraising, research, policy, culture, purchasing and investments, facilities and operations, and community partnerships. 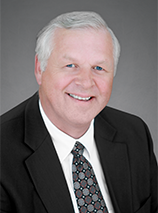 Dr. Rowe has been professor of Energy Management and Renewable Energies for over 35 years at Oakland Community College near Detroit, Michigan. She also teaches Campus Sustainability and taught Corporate Sustainability for the University of Vermont. Dr. Rowe chaired the Technical Advisory Group and the Community of Action to Grow Green Jobs through Policy and Civic Engagement for the American Association of Community Colleges (AACC). In these roles, she convenes energy and sustainability experts, reviews and selects resources, and co-authors overarching documents for AACC’s Sustainability Education and Economic Development Resource Center (www.theSeedCenter.org). This Resource Center is designed to share curricula, partnership and civic engagement models, skills and competencies, quality criteria, promising practices and funding resources. Dr. Rowe has helped hundreds of colleges start their own sustainable energy programs and has also been staff consultant for a U.S. Department of Education funded project entitled “Sustainability Improves Student Learning” (http://serc.carleton.edu/sisl), working with thirteen STEM academic societies. Debra Rowe is often a keynote speaker at national and international conferences. She is the author or editor of numerous publications, including the encyclopedia, Achieving Sustainability: Vision, Principles and Practices.